March 20, 2015 (Source: CBS News) — Rare earth elements have become critical components in everything from the phones we carry to the cars we drive to the F-35 jet fighter our military says will keep us superior on the battlefield. But an industry born in the U.S. decades ago has gradually shifted to China, where nearly 90 percent of the crucial metals are mined and processed for the rest of the world. Lesley Stahl reports on this troubling trend and the latest news that the biggest rare earth mine and processing facility outside China – is in financial trouble. Her story will be broadcast on 60 MINUTES Sunday, March 22 (7:00-8:00 PM, ET/PT) on the CBS Television Network. Rare earths are metals that, among other uses, have become a bedrock of the miniaturization process, enabling the electronics we use to be compact and effective. Tiny, super-powerful magnets made from these metals have become crucial in the consumer electronics, green energy and defense industries. The Department of Defense, whose new F-35 contains approximately half ton of rare earths, is just one of a number of advanced weapons systems that rely on them, says former White House official Dan McGroarty. “The guidance systems on weapons…any of the smart bombs – have rare earths in them,” he tells Stahl. “I’d be hard pressed to name anything that we would consider worth building today…that would not have rare earth compound.” Watch an excerpt. As early as 1992, China’s leadership saw great potential in the rare earths industry. In a little noticed speech, Former Chinese leader Deng Xiaoping indicated they could be a source of strategic power. “The Middle East has oil,” he said, “China has rare earths.” Unlike the U.S., China did not have to factor in the expensive labor costs and environmental consequences of rare earth mining that slowed production in the United States. China also devoted billions of dollars in government subsidies to support their rare earth industry. In her story, Stahl visits the Mojave Desert mine where the rare earth revolution began. It’s owned by Molycorp, a Colorado-based company, and it remains the only rare earth mine and processing facility in the U.S. and one of only a few in the world outside China. This week, Molycorp’s own auditor warned that the company might not be able to stay in business. In lieu of this illustrious segment finally making it to the airwaves, after being filmed — what — nearly 15 months ago? And of course, it is being aired as MCP stock is at an all time low…am declaring this #RareEarthVideo Weekend, and will be tweeting out rare earth interviews all weekend about companies involved in the sector that are trying to make a difference. 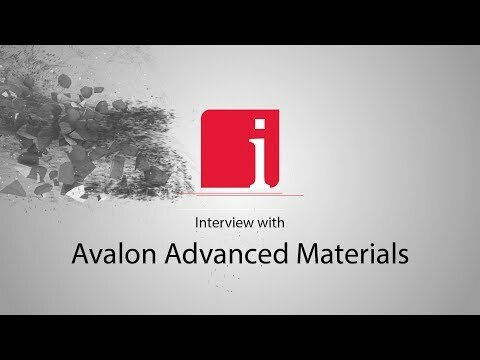 Avalon Rare Metals- A North American Company. The Nechalacho Project is the Most Advanced Large Heavy Rare Earth Project in the world. This project is 100 percent owned by Avalon Rare Metals, a Canadian company. Last time I checked, Canada is an ally of the United States. It trades on the New York Stock Exchange, under AVL. I cannot understand how the DoD came up with the figure of a half-ton of rare earths in an F-35. The “empy weight” of the craft is 15 tons. With a full load of fuel and ordinance I’m going to guess at a topped out battle ready weight of 20 tons. The DoD report that asserts the 1/2 ton figure gives no reference for that number. I do not believe it; it certainly could not represent rare earth permanent magnets, which on a typical internal combustion powered 2 ton automobile weigh around 1/2 kg, and even on a Prius with its lanthanum nickel hydride battery the total rare earths top out at less than 3 kg. I would be surprised if a fully loaded F-35 had more than 10 kg of neodymium iron boron:dysprosium magnets in its control and ordinance combined. Let’s double that figure for the samarium cobalt magnets in the controls and guidance systems. I think a considerable amount of yttrium based ceramics must be used in the exhaust nozzles of both the aircraft propulsion engines and of the urdance propulsion systems. Perhaps this is 900 kg or more per fully loaded machine, but I am skeptical. On the other hand future naval ship propulsion systems which have been announced are all diesel-electric. These will use electromagnets, but all will have large backup systems to run on batteries and rare earth permanent magnet motors that, for each ship, will require tons of rare earth permanent magnets and 100s of kilograms of dysprosium and terbium. The security of the supply of these for all seagoing surface propulsion is a real issue. Asher I just noticed the reference to the “little noticed speech” by Deng Xiaoping. It has been noted to death in not only Rare Earth-Land but in the main stream media endlessly. Perhaps at the rest home where CBS correspondent’s hang out its not as well known as the shuffleboard court availability time. Aside from the change in Molycorp fortunes, it sounds like a report that they could have made in 2010. If they don’t look past Mountain Pass as the prima facie American example and make the creo/lreo distinction that we all know about here it won’t be very useful as information.